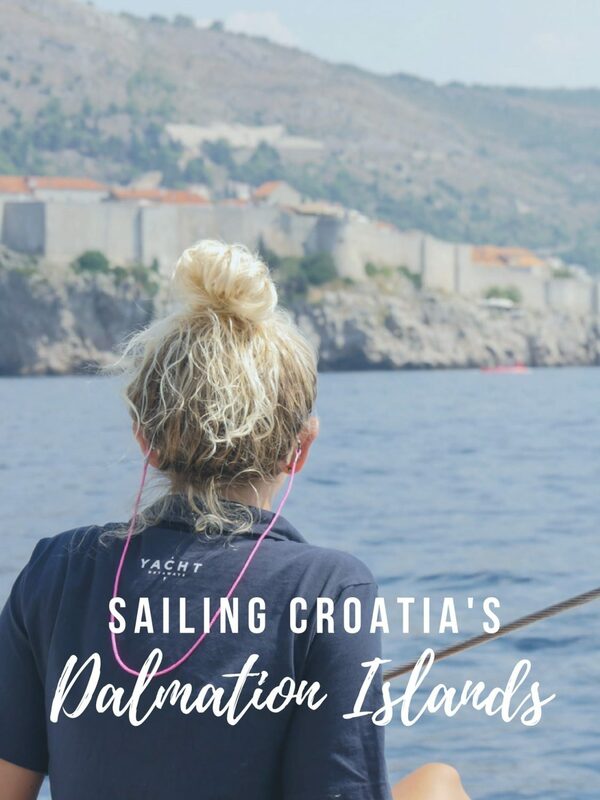 If I could give just one tip to anyone thinking about visiting Croatia, it would be this; book yourself a Yacht Getaway and sail the Dalmation Islands. Peppered with a multitude of verdant coastlines, arid plains, historic palm-fringed ports, and picturesque towns, this archipelago delivers a bite-sized portion of Croatian delights. Here you’ll find old world charm and a sense of isolation; natural beauty is never in short supply. 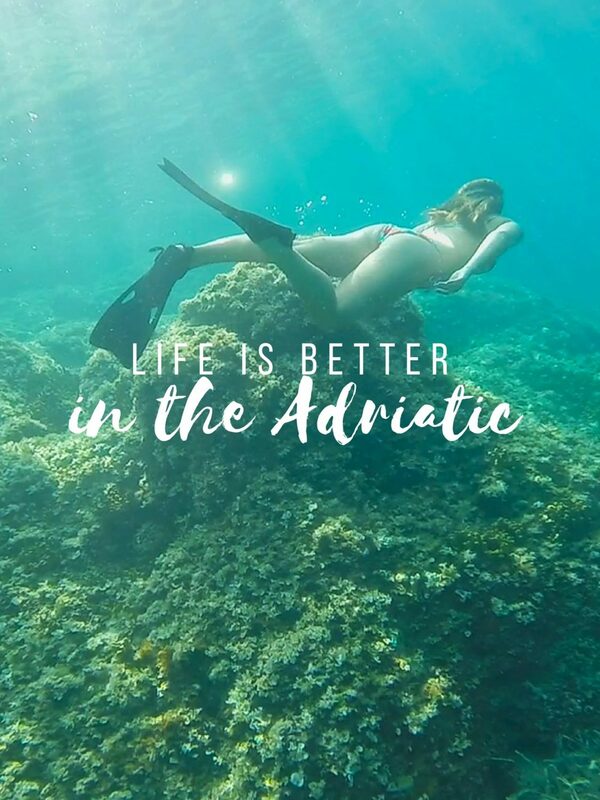 For seven days this summer I sailed the azure waters of the Adriatic with Yacht Getaways. 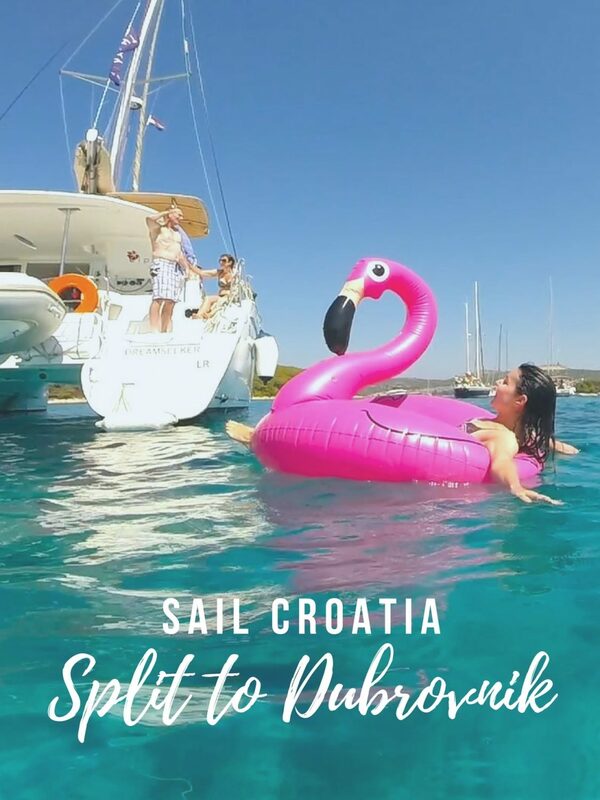 From Split to Dubrovnik, the secluded bays and bustling streets of islands Šolta, Hvar, Šcedro, Korčula, Mljet, and Šipan brought Croatia’s vibrant culture and cuisine to life. Want to follow in my footsteps? Here’s a snapshot of my week spent bobbing about in the ocean. 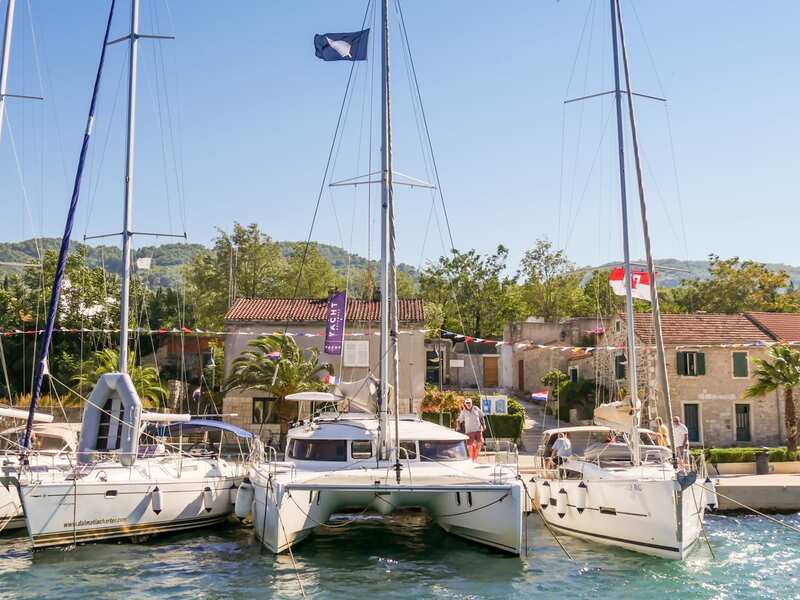 A 20 minute taxi ride was all it took to get from Split airport to the Baotic Marina in neighbouring Trogir where my Yacht Getaways’ crew, host Jackie & skipper Lane, were waiting on Dreamseeker; a Fountaine Pajot 40ft catamaran and my home for the next seven days. Our first leg was a leisurely sail to sheltered Šešula Bay on the western shore of Šolta island. While Lonely Planet’s volume on Croatia devotes just a couple of paragraphs to the limestone outcrop that comprises the Adriatic island of Šolta, don’t let this lack of prose deter your visit. 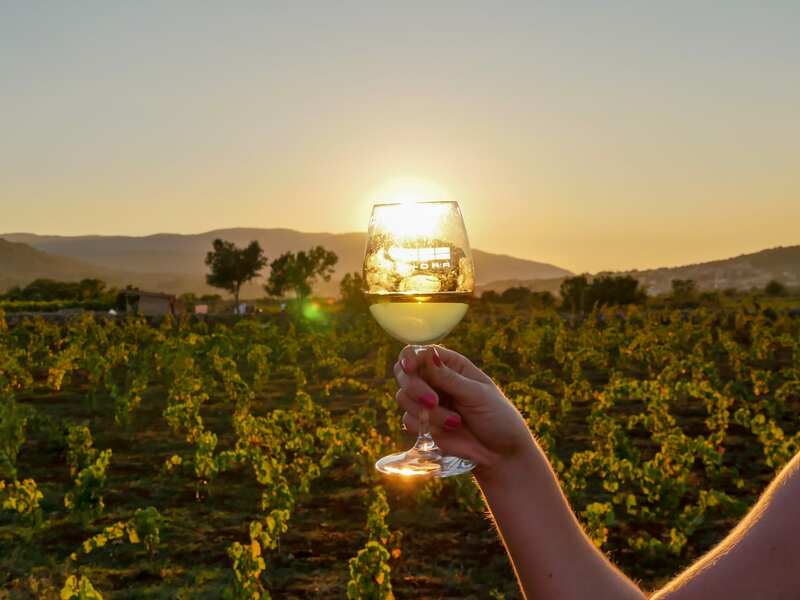 Vineyards, olive groves, and orchards are in abundance and there are a number of quaint fishing villages to explore; here you’ll find that the traditional Croatian lifestyle is still very much the norm. Mooring beneath restaurant Šišmiš where cobbled balconies overlook the bay below, my first evening on the Adriatic was spent enjoying freshly caught and grilled fish and fine Croatian wine from the elevated outlook of the restaurant. As Yacht Getaways skipper Lane set a course south towards the island of Hvar I took up residence of the foredeck and drifted into a conscious slumber, watching as every so often a sail danced across the hazy horizon. The crumbled geography of Dalmatia has created a mesmerising coastal landscape that sinks down into the surrounding ocean at rocky beaches and pristine coves, affording cruising yachties countless opportunities to drop anchor and explore. After a few hours under sail and a splash about in the ocean we arrived at the historic port of Stari Grad on Hvar and moored alongside the quay. The oldest town in Croatia, Greeks from the island of Paros settled here in 384 BC; the same year noted philosopher Aristotel was born. 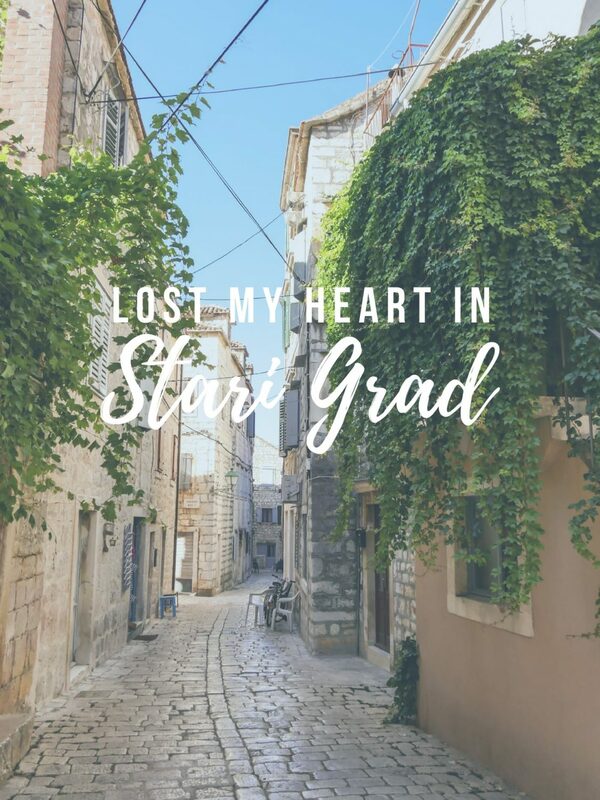 Strolling through the narrow lanes of Stari Grad’s old quarter is a civilized affair; here stone-clad streets wend their way alongside the water’s edge harbouring countless homes, café’s, and boutiques. And in the hills overlooking the deep inlet aside which the town sits, the UNESCO Stari Grad plain (delineated by antiquated dry walls), stretches out into the distance like a fertile patchwork of earthen tones. It was here amongst the fallows that I spent the evening at Hora winery. 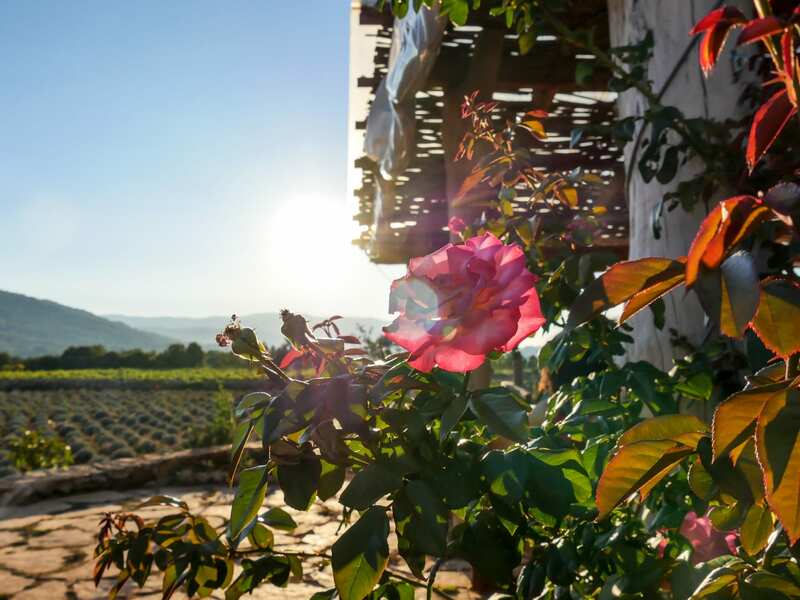 Situated within the most fertile and largest cultivated field on all the Mediterranean islands, Hora Winery is a heaven for foodies. Owned by the Zuvela family, their ethos of organic and sustainable produce is supported by their use of traditional Greek methods. 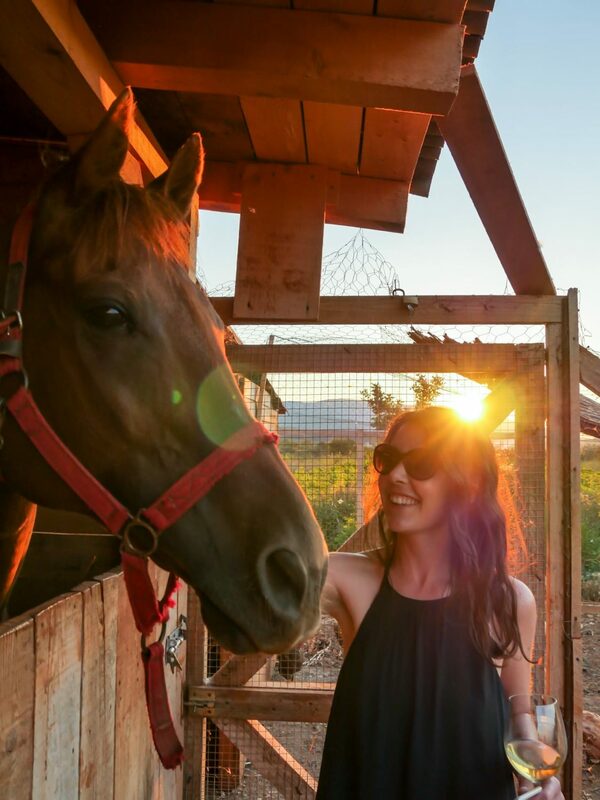 Everything served up at Hora, including all the wines and liqueurs, is made from organic produce grown on the property. There’s really no turn of phrase I could offer that would truly sum up the experience, but I think the sunset photos I captured during the meal paint a picture far better than that of any words. If you get the opportunity, revisit the island book a few nights accommodation on Hvar and make the most of the chance to explore. It’s well worth it. Another lazy morning soaking in views over the Adriatic and a few more ocean dips occupy the hours prior to our arrival into Manastir Bay on the tiny island of Šćedro. A ‘dog leg’ inlet which takes its name from the now ruined Dominican monastery at the head of the bay, Manastir is somewhat isolated from the archipelago. Once within the shelter of the bay the outside world drifts out of mind. That evening, on the shore aside the ruins I dined on the freshest fish, grilled vegetables, and homemade bread. 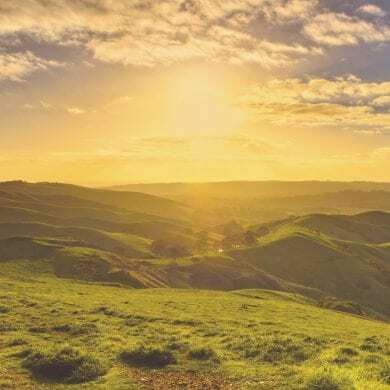 Uninhabited other than a ramshackle restaurant run by what appeared to be numerous generations of the Kordic family, I sat underneath an olive tree and watched as the sky above erupted into a blanket of stars. With such little light pollution the night’s sky appeared as if within reach. That night no sounds filled the air and I woke to a tapping sound on the bow – a local fisherman had come to tempt us with his wares; fresh pastries, breads, and wine all made by his family in neighbouring Ivan Dolac, Hvar. From the secluded bay on Šćedro we made our way across the channel towards Korčula island and our next port of call, the medieval settlement of the same name. On approach to the historic walled town of Korčula it’s immediately apparent as to why it’s known as one of the most well-preserved medieval centres in the Adriatic. The slim bell tower of St. Mark’s Cathedral and the semi-circular form of the stern wall topped with battlements make its profile distinguishable from others in the region. Lush, dark pine forests, vineyards, and olive groves pepper the surrounding landscape, however given the short time I had to explore I decided to stroll into the town which is often referred to as ‘Little Dubrovnik’. Arranged in a herringbone pattern allowing the free circulation of air but protecting against strong winds, the streets of Korčula envelop me and I find myself revisiting routes just to enjoy again the same idyllic views. Sundowners with the crew at Massimo’s, a unique sunset hotspot atop one of the battlements, and dinner on Šetalište Petra Kanavelića, the street that borders the shoreline on the town’s eastern edge, were the perfect end to another day in Dalmatia. A heavy wind set the boat swaying to and fro in the early hours of the following morning, so I’m told, I slept soundly through the activity thanks to the cocktails and fine Croatian wine! From Korčula we sailed north east towards the mainland and the island of Mljet. 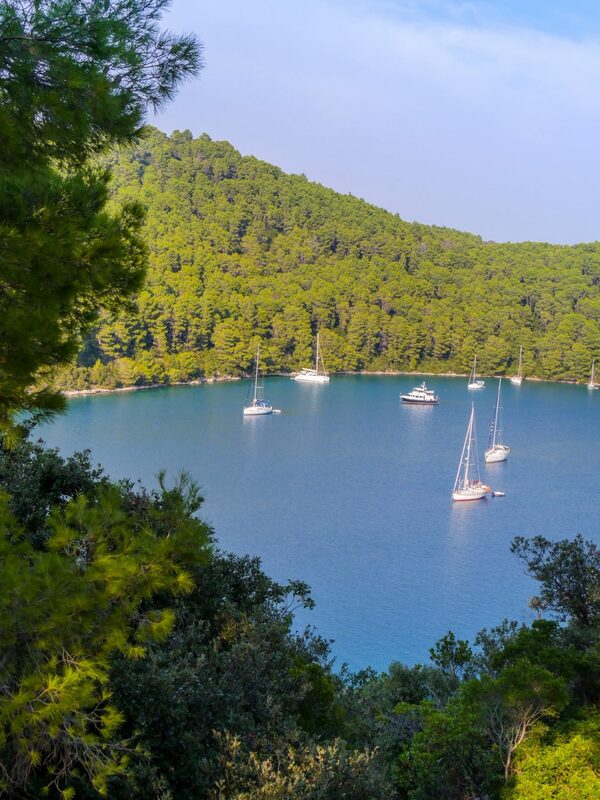 Encompassing the entire western quarter of the island, Mljet’s National Park is one of the most noted in the region and is known for its dazzling saltwater lakes; Malo Jezero (Little Lake) and Veliko Jezero (Big Lake). Possibly the most appealing destination in the Adriatic for adventurous types, exploring Mjet was one of the highlights of my week. Mooring in Luca Polače Bay host Jackie organised cycle rental from a restaurant on shore and I set out to peddle my way over to the opposite side of the national park where a Benedictine monastery sits afloat in the middle of a lake. I highly recommend you hire a bike and ride the route around the lake, the delight of the pristine beauty far outweighs the short livid discomfort of the hill climb. 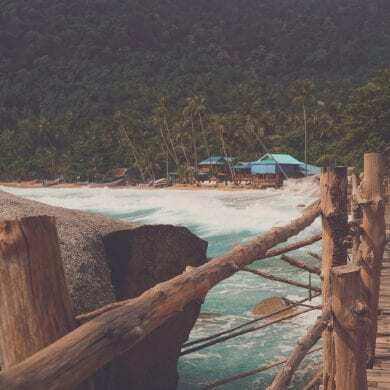 However, if you’re so inclined there is an hourly bus service which will carry you over the incline and deliver you to the jetty where you can catch a boat out to the monastery without excerpting much effort. That night I dined at Calypso, a restaurant on the shore of the bay which coal fire-grills its entire menu. Need I say more? My penultimate day on the Adriatic drew to a close far too quickly and after a fun day on the water we arrived in Šipan and moored alongside the quay. The largest of the Elaphiti Islands, Šipan is known for its laid back approach to life as well as it’s vineyards, and fig and citrus orchards. 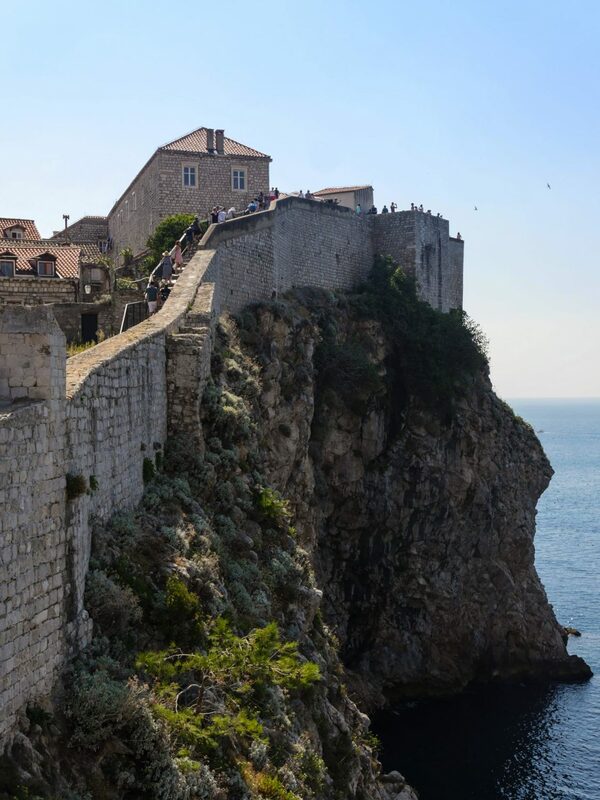 A popular day trip from nearby Dubrovnik, it was once a chic summer getaway for affluent 15th century families keen to escape the hustle and bustle within the city’s infamous walls; many of the properties they built still remain. I took a leisurely stroll from the shore up to the fortified church of the Holy Spirit dating from 1577 and the parish church which contains several 15th-century paintings. From here the views boast swathes of vineyards, lush forest, and ochre rooftops that trickle down towards the water’s edge. The path that meanders around the bay is well worth exploring. Walk north west and you’ll find a gravel beach with majestic views out over the water, or head east and you’ll find a number of restaurants and bar well situated to take in the sunset views. That night I sampled the local black risotto; a cuttlefish dish with a rich flavour of the sea it pairs perfectly with Pošip white wine from Korčula. Within just a couple of hours of sailing from Šipan the majestic walls of Dubrovnik appeared on the horizon signalling the end of my trip. At two kilometres in length and towering 25 metres above the considerable cliff face that stands high above the waves, the city’s defences are unmistakable even from a distance. Encrusted with towers and bastions, and adorned by tiny, moving figures navigating the narrow walkways atop the stone, the walls encircle the old quarter where churches, monasteries, palaces, and fountains have all stood the test of time. From where we made port at the ACI Marina some 6 kilometres outside the city, it’s a 10-minute bus ride into the centre of Dubrovnik. Walking through the Pile City Gate and into the citadel just after 6pm there was a soft light illuminating the Stradun (main street) to which many of the city’s narrow lanes feed into. Merging with the crowd I was swept into one of the side streets. Lines of washing were strung high above and a seemingly constant stream of people spilled onto the cobbled walkway in front of me from the cafes and bar tucked underneath the residences above. Ahead steps rose upwards and appeared to narrow towards a rectangular patch of sky. Walking for 15 minutes or so I found myself aside the interior of the city’s vast wall and following my curiosity nipped into a tunnelled opening. Here I discovered one of the city’s best sundowner spots, Buza Bar A.K.A the Hole in the Wall. The ideal place to experience Dubrovnik’s cerulean summer style, Balearic inspired beats filled the air and I sat and sipped a cocktail as the sun sank behind the horizon. 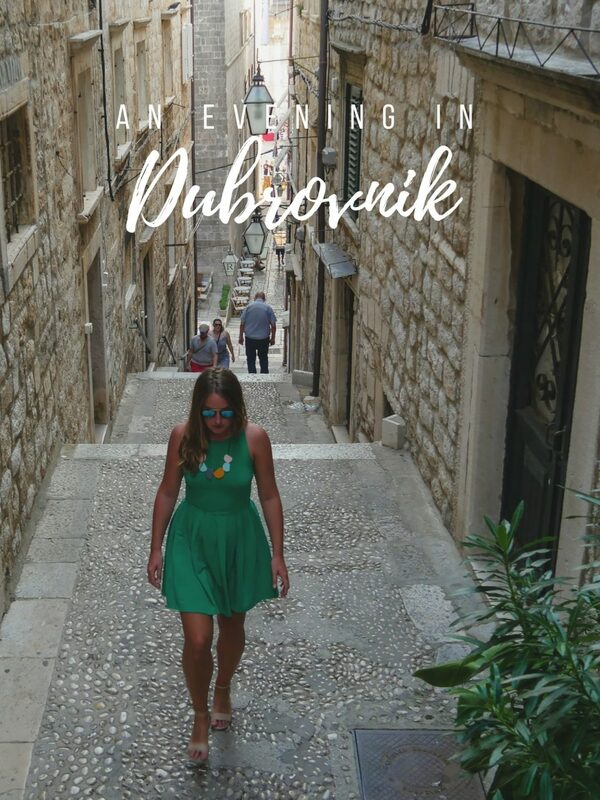 With so much to see and do in Dubrovnik I recommend adding an additional 24/48 hours onto your seven day Croatia Explorer itinerary to really experience all the city has to offer. While I did find the time to walk the walls the following morning prior to heading off to the airport, in hindsight I would have preferred longer to explore. My week aboard Yacht Getaways’ luxury catamaran Dreamseeker was blissful and in my opinion Skipper Lane and host Jackie made the experience what it was; chilled, entertaining, and really enjoyable. Breakfast and lunch on the boat each day was a sociable affair and the spread served up was bursting with Mediterranean flavours. The cabins were well equipped with amble storage, the galley is comfy, and there’s a basic wifi connection on board to ensure you can post plenty of enviable Facebook updates throughout the week. Thinking about booking your own Yacht Getaway in Croatia? Check out current availability here. Have you been to Croatia? 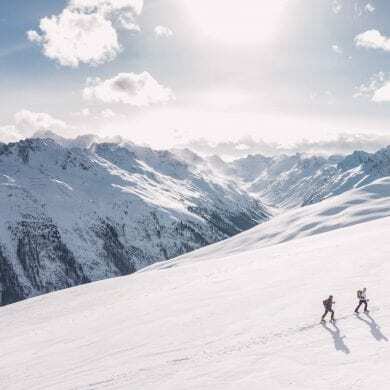 Share your travel tips with me below!